For several years now stem cells have been hitting the headlines. It seems every week a new breakthrough, discovery or treatment has been found with these amazing cells. But where do they come from? And what do they do? Stem cells are the body’s master cells and they’re the very first cells of life. At the moment of conception a stem cell is created, and every future cell in the body can trace back it’s lineage to this very first cell. These very first cells are truly special, they have the power to create any tissue type in the body and they are the cells which enable a baby to form and grow. As the embryo develops, the cells become more specialised through a process known as differentiation. This process of specilisation allows the creation of specific cells to create specific tissues. The cells can then take on more complex roles within the body. A cell’s ability to produce more specialised cells is called cell potency, you can find out more about that here. Embryonic stem cells are the most controversial source on stem cell. Controversy surrounds the use of embryonic stem cells for research because an embryo needs to be destroyed to harvest them. However, there are more ethical alternative sources available including; adipose (fat) tissue, bone marrow, and blood from the umbilical cord to name but a few. They don’t have the ethical issues which surround embryonic stem cells. While described as “adult”, cord blood stem cells are young, prime and haven’t been exposed to the elements as stem cells derived from an adult have. Cord blood also contains a wide variety of stem cells including MSCs, HSCs and VSELs. 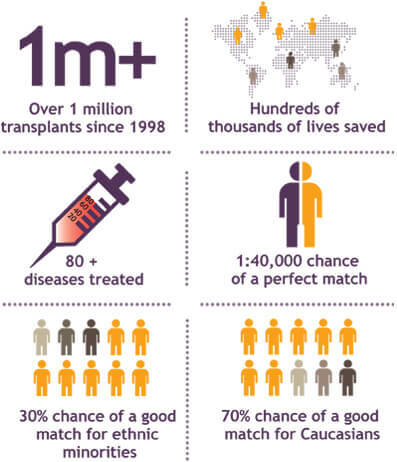 In the case of HLA matching, for transplant, cord blood is easier to match to a patient than bone marrow. Stem cells are not only responsible for building the foundations of our bodies; they are also responsible for the renewal and repair of damaged and diseased tissues. Their ability to renew and repair the body is incredibly exciting. This is why scientific researchers are working in numerous fields to harness and utilise their power. These cells could prove particularly valuable for injuries which are difficult to heal, such a broken foot bones, or organs which struggle to regenerate, such as the heart. Scientists have already been able to harness the power of stem cells to help in the treatment of over 80 illnesses, for which they are an approved therapy. There are thousands of clinical trials taking place to find more ways to utilise these cells in several including transplant medicine, regenerative medicine, and biological engineering. 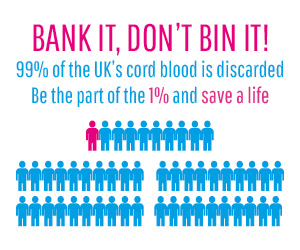 Find out why banking your baby’s cord blood could be the right option for you here. I appreciate the information on stem cells and the differences. I had no idea that there were actually different types of stem cells that we could use, I was under the impression that it was only from the embryo. I think it is a great idea to work with the cord blood stem cells and hopefully help those who are having health issues.